LG may not be the most popular smartphone vendor in the US nowadays, but if you’re not necessarily interested in owning the newest and hottest mobile devices out there, some of the company’s older mid-range and high-end models routinely deliver big bang for your buck. Case in point, the late 2017-released LG V30+ you can currently purchase in exchange for a measly $369.99 from Walmart. While nationwide shipping won’t cost a thing, selecting in-store pickup will save you an extra $3.70, bringing the unlocked handset’s price down to a new all-time low of $366.29. Even though a highly trusted eBay seller can further reduce that to $359.95, nothing beats the convenience of the Walmart shopping experience... or the inclusion of a limited one-year warranty. 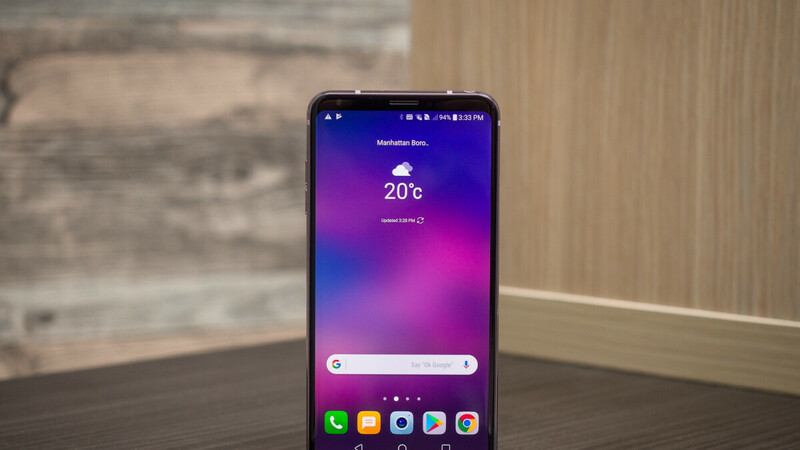 Besides, we’re talking about the LG V30 Plus variant here, which is capable of accommodating twice the data its non-Plus 64GB sibling can, while supporting both GSM and CDMA carriers stateside. The unlocked device is around 35 bucks costlier at B&H Photo Video, in case you’re wondering, while Best Buy no longer sells this particular version of the V30+. Praised for its processing speed, battery life, camera performance, and premium design in our in-depth review... a long time ago, the 6-incher has aged pretty well, packing a still-respectable Snapdragon 835 chipset and 4GB RAM. Aesthetically, the LG V30+ may seem outdated, but we’re certain some of you can still appreciate the clean look of a no-notch, no-hole, no-compromise slab with razor-thin screen bezels. Those 16 + 13MP dual rear-facing shooters sound great for the sub-$400 price bracket, and eventually, the incredibly inexpensive phone should also score an official Android 9.0 Pie software update. What more could you ask for at $366.29?